LRWHF moved to it’s own premises at “Rain Center” 41/12 New Parliament Road, Pelawatte on 27th February 2014. To mark the occasion Hon. Dinesh Gunawardena Minister for Water Supply & Drainage and Board members of LRWHF Chairman Mr. Deva Hapugoda, Dr. C. S.Weeraratna, Mr. M. M. Aheeyer, Ms. Shanti Fernanado, Mr. P. R. Attygalle and Mr. Lahiru Perera planted plants at the premises. Rain Center was constructed with part support from the NGO water Decade Service and USAID. The ground floor of the center consists of an Exhibition area where models and photographs of different rain water harvesting systems in Sri Lanka and around the world are displayed. The different model on display are for households, multi-story building, factories and public buildings. 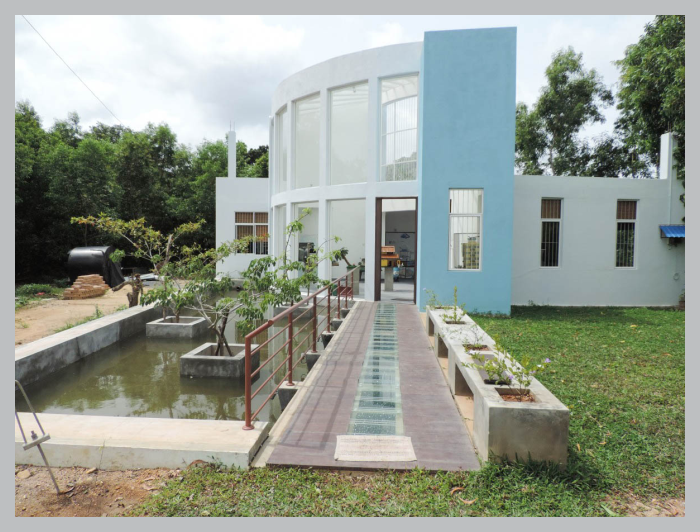 The Rain center also has a library containing books, reports, conference proceedings, newspaper articles, magazines, manuals, brochures, research and policy papers, other reading materials related to rain water harvesting from Sri Lanka and around the world and audio and visual materials. Rain center is open for Students, Researchers and public to gain knowledge on practices of rain water harvesting in Sri Lanka and Worldwide. The opening hours of the center are from 9.00 am to 5.00 pm on week days. 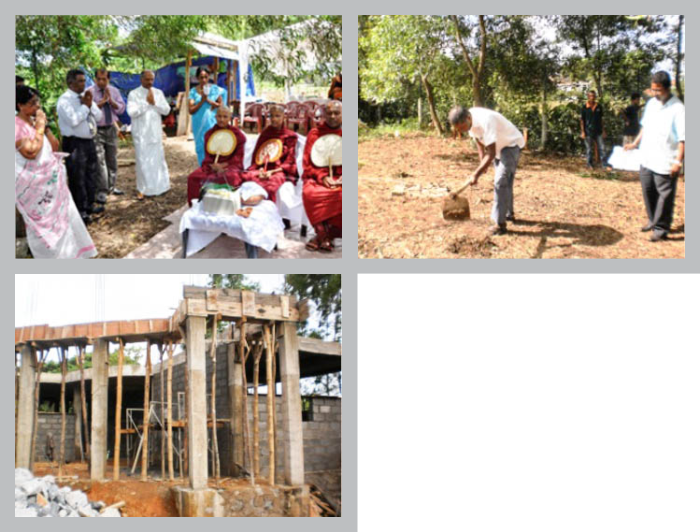 The foundation stone was laid of the Rain Center by Hon. Dinesh Gunawardena Minister for Water Supply & Drainage on May 22nd 2013 at 14/12 New Parliaments Road, Pelawatta. The ground floor of the rain center will be constructed with the funds donated by the NGO Water Decade Service. The first phase of the project is expected to be completed within 6 months. Mr. A. Abeygunasekara, Secretary Ministry of Water Supply & Drainage, Dr. Sunimal Fernando, Advisor to the H.E. President of Sri Lanka, Mr. K. Hettiarachchi, Mr. Lal Premanath, Chairman and General Manager of National Water Supply & Drainage Board, Dr. Abudulai Kaikai, Chief of WASH UNICEF, Mrs. Vijitha Fernando, Founder member of NGO Water Decade Service, Mr. Adam Schmidt, Mr. Trevor Hublin, and Ms Rehana Cuttilan from USAID, Mr. Rodgers from S-lon Lanka Pvt. Ltd, Mrs. Kusum Athukoral, Chair of Laka Jalani and Board members of LRWHF Chairman Dr. C.S. Weeraratna, Mr. M. Aheeyer, Ms Shanti Fernando, Mr. Lahiru Perera and Mr. Deva Happugoda were also present at the occasion.